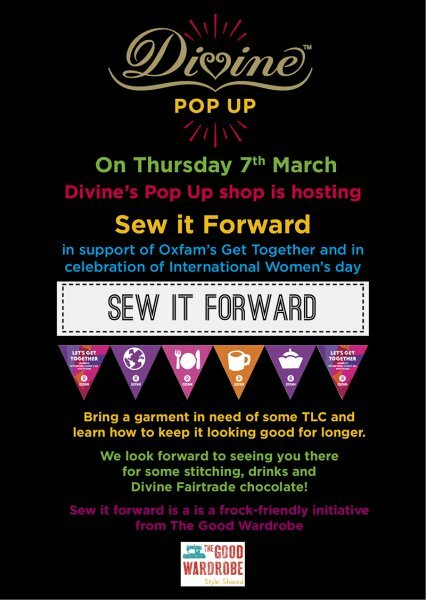 We are thrilled to be collaborating with Divine Chocolate to run a Sew It Forward event at their Covent Garden pop-up shop. It's going to be held on Thursday 7th March in celebration of Fairtrade Fortnight and Oxfam’s Get Together for International Women’s Day. Sew It Forward is our frock-friendly initiative that encourages people to share their sewing skills - and have a good time in the process. 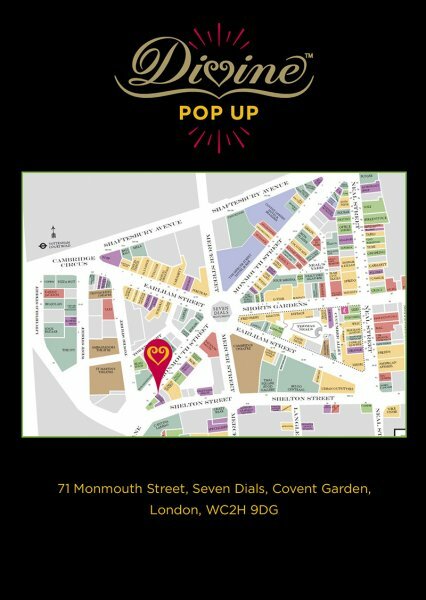 Designers, knitters, makers and menders will be at the event to pass on their wisdom – while attendees get the chance to share their newfound skills by pledging to 'Sew It Forward’. It doesn't matter if you've never threaded a needle - the event is for everyone whether they can sew or not. Anyone who does already know a trick or two with a needle and thread is invited to come along as well, share their skills and learn something new. Guests who learn a new skill on the night will receive a Sew It Forward voucher which they give to someone with a promise to teach them to sew, knit, darn or mend. Paired with some Divine Chocolate it is the perfect Mother's Day gift. The evening is free to attend but we do recommend booking in advance (we hear there will be chocolate, nibbles and drinks). Any donations on the evening to Oxfam's Get Together campaign will help support their work transforming the lives of women living in poverty worldwide. A feel-good evening of Fairtrade chocolate, wine and sewing - what more could you want?